In Transnistria I went for a walk from the capital city Tiraspol to Kitskany to visit the monastery there. Along the river Dnestr, which is pretty much the border between Transnistria and Moldova, I walked on paths between the fields, most of the time fully exposed to the relentless sun. Particularly now in summer, one can easily see why the Soviet Union swallowed up the territory of Moldova in the Molotov-Ribbentrop Pact: good soil, enough water, no steep slopes, perfect for agriculture and to feed a country which is frozen over for half the year in other parts. 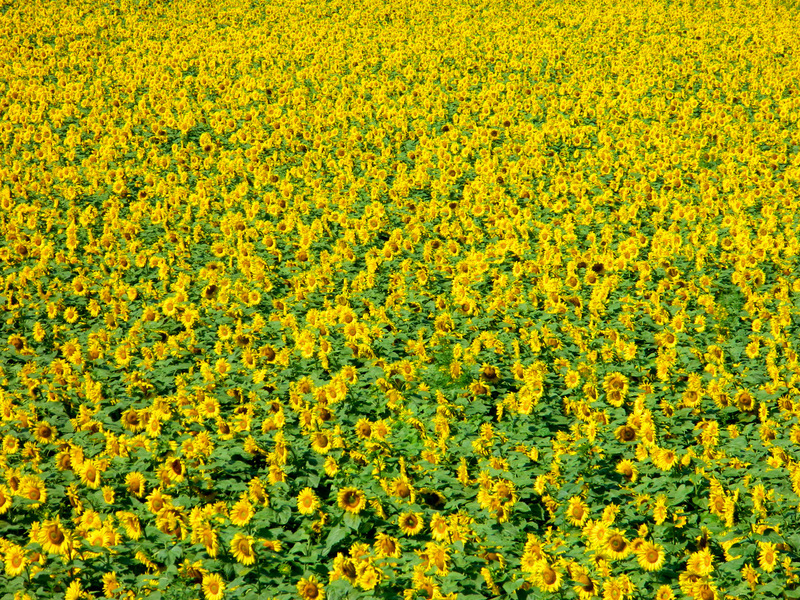 Until then, I had never seen such large sunflower fields. 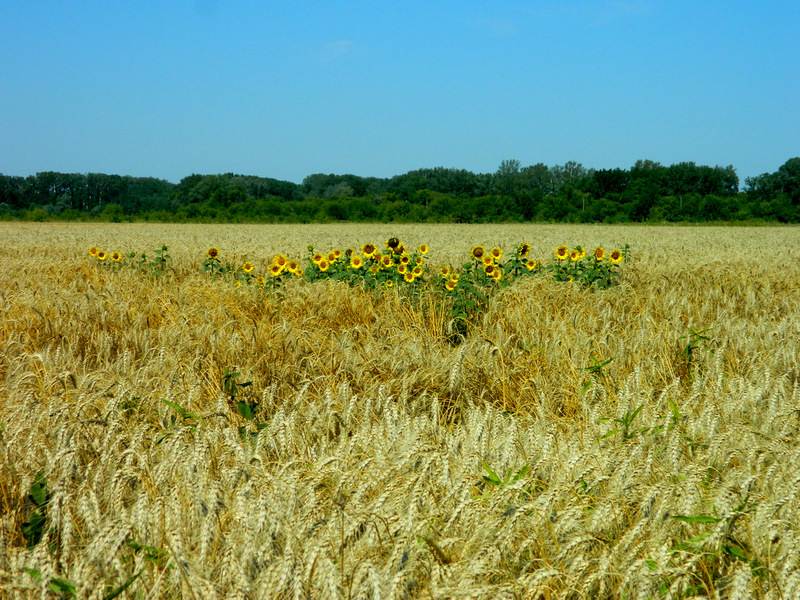 A few days later, I did however spot even larger ones in Moldova. Even the wheat fields have been overrun by the yellow peril. Some of the sunflowers were taller than me, although I measure 6 feet. 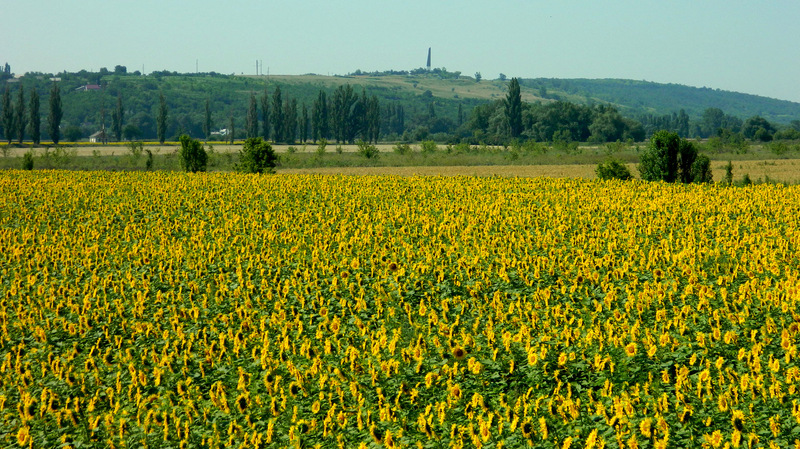 This entry was posted in Photography, Transnistria, Travel and tagged flowers, Kitskany, Tiraspol. Bookmark the permalink. That’s a whole lot of yellow; great shots! Hello Andreas,I have been following you for the past some weeks and I simply find out, you have been doing very well on your life journey and therefore I disseminate your blog through the channels of website social networks. I like reading your personal experiencing on every spot of your travelling, because you do describe in the way that reader can imagine how it is in actual state of being, which is described directly by your observations. Besides that, you additionally put the whole description of the spot in to the historical frame and add your personal comment in a broader perspective, which it helps every reader to understand what you have been talking about it. I simply wish you a successful continuation of your mission and day by day of your travelling you will collect more and more common wealth of the earth and people that inhabit those landscapes! The combination of travel writing and exploring and explaining the historical, political and social background is indeed exactly what I am interested in. I am happy to see that there are at least a few people who share that interest! Hey are you back in Europe? Lovely photographs- I’m about 5 feet tall so I’d just be totally lost in those sunflower gardens. At your height, it would be even more fun to run into these fields and get totally lost. I’d probably never make it out! Here is a list of all my travels so far. 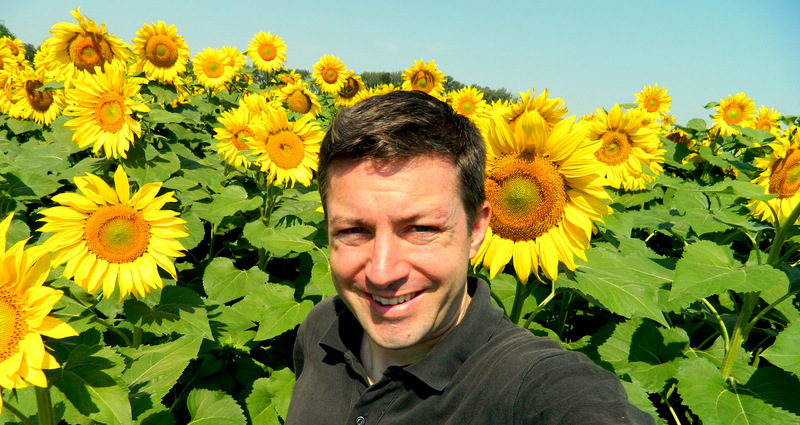 I just did a post about a sunflower field too in New Jersey! Isn’t it crazy to be in two completely different places, but there’s that common link ?! Love the post! Sunflowers are really beautiful everywhere.